If You Want A New Caravan Then You Need To Choose The Right One To Match Your Car! Picking the right caravan for yourself is not just about it`s functionality, gadgets, comfort or size. It is important to consider the car that is going to tow the caravan around the country and even abroad. The car should be checked to see what size of caravan that can be towed, not just for comfort, but for safety and legal reasons. Though finding out this information can be easier said than done and the technical details and terminology can be confusing. For a basic match try using this tool on the Experience Freedom Website or call us on 02476 387080 and we can give you further advice. 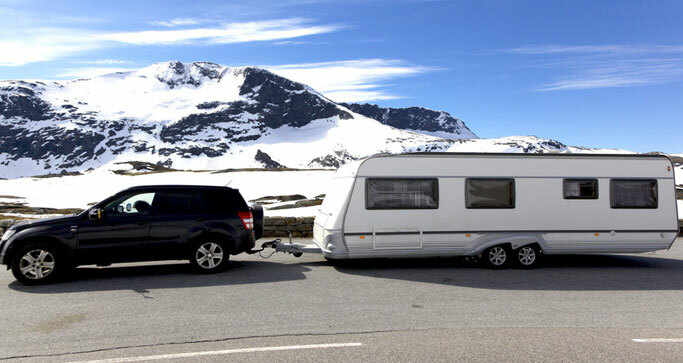 Most cars should be able to tow a caravan even a large one, but there are some legal restrictions that need to be adhered to with regards to the combination of the car to the caravan that is legally allowed on the road. That said it also makes total sense to try to achieve a certain caravan weight ratio just for handling sake e.g. it`s a stormy night and a large lorry starts to overtake a small car and a large caravan combination, the driver may find the handling of the car to be extremely difficult at this moment and therefore increasingly more dangerous to control. A good ratio to aim for is not to buy a caravan that is more than 85% the Kerb Weight* of your car, your car should always weigh more than your caravan as a given rule. The car manufacturer will have a maximum towing weight and this should be followed to avoid breaking the law. Other factors to be considered are the Gross Train Weight or the maximum weight the manufacturer states that it can tow when it has a full load on board. Also the nose weight and the correct engine type and size. Diesel Engines often make the better towing cars due to their pulling power at lower revs. The Car and Caravan Match! * Kerb Weight is the standard weight of the car including oil, full tank of fuel, equipment, but not laden with passengers or luggage etc. You may have done some research into what weight limits you can legally tow and taken advice on how best to tow a caravan, but have you given much consideration as to the best type of tow bar for your set-up?, please go to our page on how to choose the right tow bar.